Defense Ministry to pay Palestinian Authority to clear Jordanian minefield near Jewish towns. 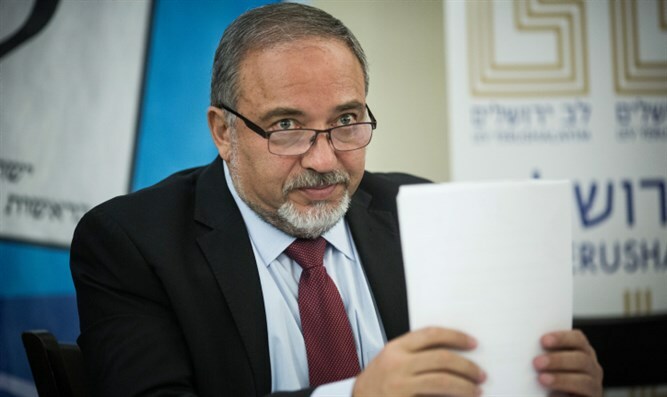 Defense Minister Avigdor Liberman (Yisrael Beytenu) approved Wednesday a budget of five million shekels ($1.3 million) for the removal of an old Jordanian minefield near the Jewish communities of Karnei Shomron and Havat Gilad in Samaria. The decision came after a brushfire in the area set off a number of mines in the area, highlighting the potential threat the minefield could pose to local residents. But Israel has yet to clear the minefield itself, due in part to its location in Palestinian Authority controlled territory, creating both a legal barrier to carrying out the removal operation, as well as bureaucratic red tape blocking the funding of such an endeavor. After extensive examination of the issue, the security establishment has finally settled on a course of action to deal with the mines. The Defense Minister set aside some funding for the removal operation, clearing the way for its execution. The IDF, however, will not be involved in the removal of the mines. Instead, the Defense Ministry will pay the Palestinian Authority to have the field cleared. Despite Wednesday’s decision, it will still be some time before the minefield is actually cleared, with some bureaucratic barriers remaining and technical questions regarding the transfer of the funds and mechanism to ensure their proper use.